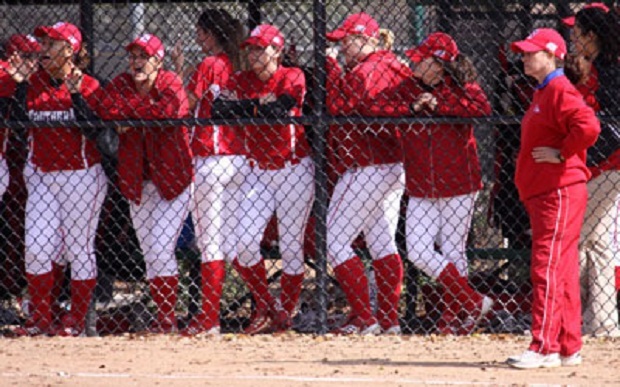 As the women’s softball team heads into its 2013 season, it is the first time in Florida Southern College’s history that there are not any returning seniors on the roster. Outfielder Khaliah Brown, shortstop Christie Bailey and pitcher Lindsay LaChance are the three returning junior starters, the fewest number since 1990. Bailey agrees with Bellotto that the team is new, but has a lot of potential. “I think as the season goes on, I think we will gel together,” Bailey said. “We have good chemistry so far. We communicate a lot. Junior pitcher Chelsea Oglevie and junior second and third baseman Gianni Artidiello are transfers from State College of Florida-Manatee who brought home First Team All-Suncoast Conference honors in 2012. Artidiello tore a ligament in her thumb about a week ago, and she has begun rehab, but it is uncertain as to whether she will play. Oglevie will be pitching, as well as playing first and third base until the players are certain of their positions for the season. With a mix of new freshmen, sophomores and three returning juniors, Bellotto will search for the right position for each player as the season goes on. The Lady Mocs will play the first nine games away, then come back for just one home game against Flagler before heading out for another 10 away games. The team will play a double-header on Feb. 2 against North Georgia and Armstrong Atlantic in Columbus, GA.
“We’re playing some tremendous talent, and it’s probably one of the hardest schedules we’ve ever had,” Bellotto said. With 21 regular season Sunshine State Conference Championships, Bellotto hopes to make regionals this year and add another conference title to the impressive tally. Bellotto has been with the Lady Mocs from the very beginning. The team began as a club sport, started by Bellotto in 1979 during her junior year. She coached and led the team to place fifth in the state tournament. In the beginning, there were no softball scholarships, nor were there proper uniforms for the team. Bellotto says the focus has changed tremendously, and consistency is key. She enjoys the family atmosphere at FSC as a small school with a Division II program. As the softball team heads into its 32nd season, the team and coach have high expectations.